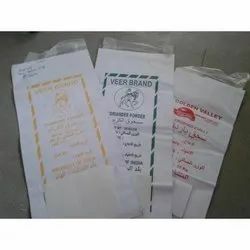 Our range of products include spice packing paper bags, bulk packaging paper bags, paper bag, brown paper bag, hdpe laminated paper bag and food safe kraft paper bags. 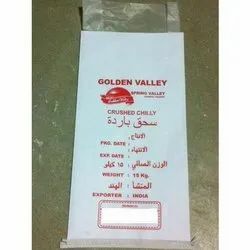 Spice Packing Paper Bags manufactured by us are widely appreciated for its apprehensive features such as moisture barrier, long-lasting freshness and high durability suited to pack for pulses.spices etc. We can also deliver these as per the specific packaging requirements. Moreover, these bags can be offered at highly competitive prices. We offer outstanding range of Bulk Packaging Paper Bags, which are highly acknowledged among our clients as these bags are light and strong. Further, these bags protect the product well and are highly recyclable. In addition to this, these bags preserve the freshness of its contents well. 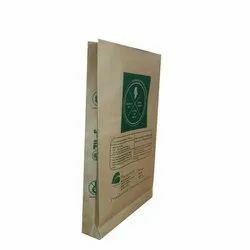 We offer these bulk paper bags at leading market prices. 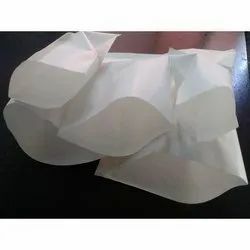 Paper Bag with Block Bottom or Bottom Paste We are into manufacturing of multiwall paper bags which may be of 2, 3 or 4 ply which can be provided with intermediate liner for high barrier. This comes with block bottom means like box bottom or bottom pasted the other type is pinch bottom type. The bag top can be of open mouth or impulsive heat closing type as per customer requirement. HDPE Laminated Paper Bag is made by laminating HDPE/ PP woven fabric on kraft paper by using LDPE through extrusion lamination. These bags are stitched at one side to form a bag. The bottom is either folded & stitched or stitched with crepe paper. These are ideal for packing products which are to be handled manually & excellent replacement for PP/ HDPE woven sacks. 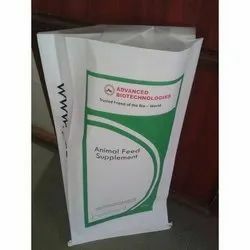 Cost effective compared to Hessian laminated bag our bags are used in bulk packing of animal feed supplements, cement industry, chemical industry, the pharmaceutical industry, etc. 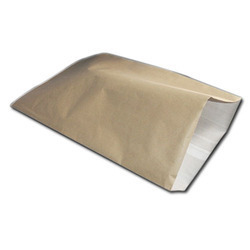 We provide our clients with Food Safe Kraft Paper Bags of many different sizes and colors. Utilizing the latest equipment, we are able to manufacture the highest quality printed and unprinted kraft paper bags worldwide. Additionally, our bags are food safe, moisture resistance and highly durable. 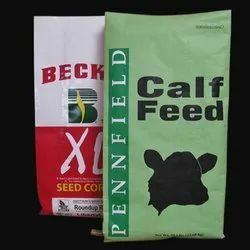 Our clients can avail these bags at leading prices in market. substances and dried salts and flakes. paper bags for waste disposing of. This paper pouch can be used in residential commercial and corporates. the paper pouches/bBags can be used waste segregation and other purposes. Available colours is in white and brown of various sizes. 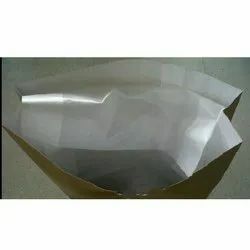 We are into manufacturing of Poly Coated Paper Bag with highly experienced professionals giving high quality. These bags are having an attractive look with waterproofing properties, high barrier, and load-bearing capacity. Paper Bags for Spice Packaging. Paper bag which is laminated to HDPE fabric can be used with inner LD or HM liner otherwise can be manufactured with paper liner. The bags can be customized with 3 color printing. these bags can be manufactured in brown, white or yellow. 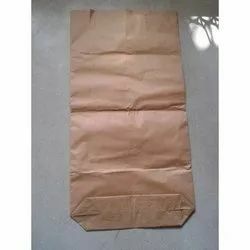 Brown Gusset Type Paper Bag are made by laminating HDPE/ PP woven fabric on kraft paper by using LDPE through extrusion lamination. These bags are stitched at one side to form a bag. The bottom is either folded & stitched or stitched with crepe paper. These are ideal for packing products which are to be handled manually & excellent replacement for PP/ HDPE woven sacks. 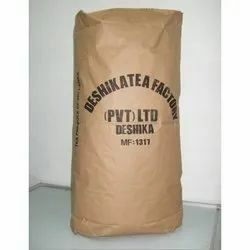 Cost effective compared to Hessian laminated bag our bags are used in bulk packing of animal feed supplements, cement industry, chemical industry, pharmaceutical industry, etc.